I have photographed this fly on a mushroom yesterday in Chambourcy, 20km West of Paris. Length about 8-9mm. seems to be very attracted by mushrooms. Hymenoptera. 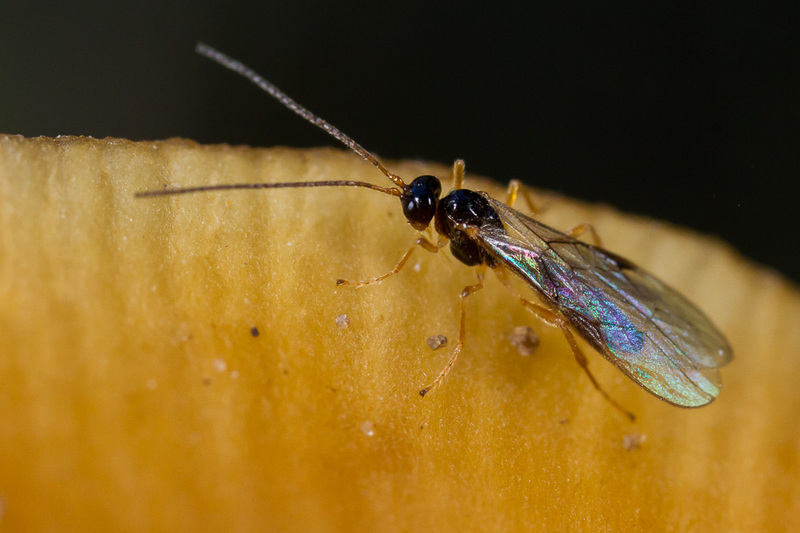 I saw a similar wasp recently on a mushroom covered in Drosophilidae. I suspected it was one of the Braconidae that parasitize flies. Thank you Ectemnius and sorry for posting in the wrong place!